Touch screen become more and more popular. 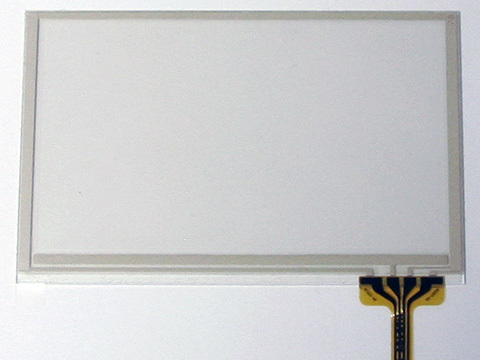 There are a few different technologies around (some of them allow multi-touch), this article deals with the 4-wire resistive touch technology. There are a couple of different screens in different sizes available and I decided to try out SparkFun's 4.3" PSP Touch Screen for $24. 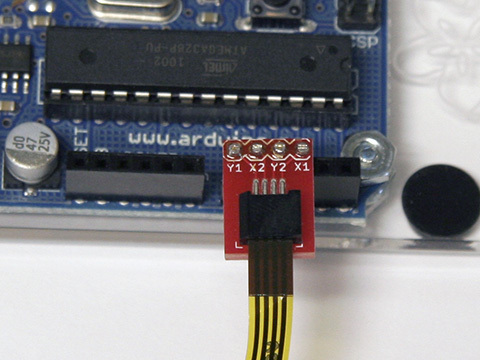 It is a good compromise between size and price and it is easy to connect to a bread board with SparkFun's 4.3" PSP Touch Screen Connector Breakout for $4. SparkFun has also a great USB Touchscreen Mouse tutorial. Practical Arduino has a Touch Control Panel project. The Processing code is just a simple demo. It reads the positions from the serial port and keps the last 256 vualues in a ring buffer. The draw() function just draws a circle for all the positions in the buffer.